We Help Keep the Roof Over Your Head! When shingles start falling apart or go missing, it’s also a sign that it’s time to have your roof repaired or replaced. Remember to keep in mind the age of your existing roof, too; if it’s been around for more than 20 to 25 years, it’s time to consider the benefits a new roof offers. At Brian Creech Roofing LLC, roofing is what we do best. From installing brand-new roofs to fixing up old ones, there’s no challenge our roofing contractors can’t handle. We work with residential roofs of all types; from metal roofs to shingles, we have plenty of experience. Conveniently located in Zebulon, NC, our roofing contractor serves the Raleigh, NC area, including Smithfield, Clayton, Louisburg, & Wilson. We can install, replace & repair any type of residential roof. 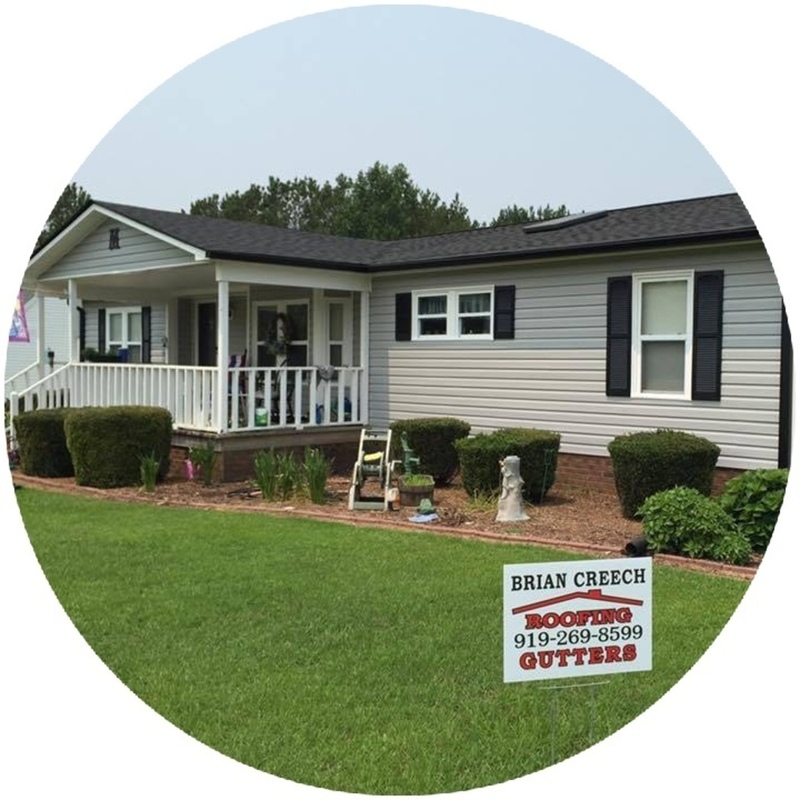 For a perfect fit, seamless gutters always measure up; leave installation to our pros. At Brian Creech Roofing LLC, we pride ourselves in providing quality craftsmanship for all of our projects, that's why we are proud of hand nail services! SureStart Plus is an insurance that will provide you with coverage on your roof for up to 50 years on all materials and workmanship if you choose to use our service. Our roofers are CertainTeed certified master applicators. Brian and his crew are very professional and respectful from their estimators to the installers. They did a great job on our home and I do highly recommend them . Brian Creech Roofing did superb work this week, replacing our worn shingles. We're totally pleased. There's a reason why his signs are all over the place! NOW IS THE TIME! GET YOUR ROOF FIXED! CONTACT US TODAY! Find Out Why Our Customers Love Our Work! Thank you for your interest in Brian Creech Roofing, where your time is valuable to us.